Because we moved this event to such an early date in the season, we have decided to use a jamboree format with flexible registration and the lowest possible cost. Please read this section fully for more information. We are pleased to invite your team to apply to the Crush Crossbar Classic! THIS EVENT IS FOR BOYS' TEAMS U9-19 AND GIRLS TEAMS AGES U-14 AND BELOW. GIRLS "GAP" TEAMS THAT ARE A COMBINATION OF U14 AND U15 PLAYERS WILL ALSO BE ACCEPTED AND WILL BE BRACKETED WITH THE U14/15 AGE GROUP. This event was previously a season-ending tournament in November, and we have moved the event dates to August to provide an opportunity for teams to kick off their season in East Tennessee. EVENT DATES: August 17-19, 2018. Only local teams (within 25 miles of Knoxville) will be assigned games on Friday evening. THE GOAL OF THIS EVENT IS TO GIVE TEAMS AN OPPORTUNITY TO GET SOME AFFORDABLE GAMES AT GOOD VENUES TO KICK OFF THEIR SEASON. EACH TEAM MAY REGISTER FOR 2 OR 3 GAMES. FOR ANY TEAMS THAT ONLY REGISTER FOR 2 GAMES AND THAT ARE NOT IN THE KNOXVILLE METROPOLITAN AREA, WE WILL USE OUR BEST EFFORTS TO SCHEDULE BOTH OF YOUR GAMES ON THE SAME DAY. THE REGISTRATION FEES ARE $30 PER GAME FOR U12 AND BELOW. WE WILL ONLY BE USING CENTER REFEREES WITH NO ASSISTANT REFEREES FOR THOSE AGE GROUPS IN ORDER TO KEEP REGISTRATION COSTS LOW. FOR U13 AND U14, REGISTRATION FEES ARE $75 PER GAME. FOR U15 AND ABOVE (BOYS ONLY), REGISTRATION FEES ARE $90 PER GAME. THE REGISTRATION FEES ARE ONLY INTENDED TO COVER OUT-OF-POCKET COSTS OF THE EVENT, WHICH INCLUDE FACILITY RENTALS, REFEREE FEES, ASSIGNOR FEES, WEBSITE FEES AND MISCELLANEOUS COSTS. ALL TEAMS MUST REGISTER ON OR BEFORE AUGUST 11, 2018 AND PAY BY CREDIT CARD. THERE IS A $5 CREDIT CARD CHARGE. WE WILL BE PAYING THE REFEREES ELECTRONICALLY, SO WE NEED TO COLLECT ALL FEES BEFORE THE EVENT. THERE ARE NO CHARGES FOR PARKING, AND WE DO NOT REQUIRE "STAY TO PLAY" FOR HOTELS TO AVOID EXTRA EXPENSES FOR YOUR TEAM. WE WILL NOT SCHEDULE ANY GAMES BEFORE 9 A.M., AND IF YOUR TEAM IS TRAVELING ONE AND HALF HOURS OR LESS, WE WILL USE OUR BEST EFFORTS TO NOT SCHEDULE YOUR FIRST GAME ON SATURDAY BEFORE 10:00 A.M. SO THAT YOUR TEAM WILL NOT HAVE TO PAY FOR FRIDAY NIGHT LODGING. WE WILL NOT SCHEDULE GAMES ON SUNDAY FOR U12 AND BELOW BEFORE NOON. We also offer one of the most liberal refund policies for any tournament. If we are forced to cancel the entire tournament due to weather, we will return your entire registration fee less a $50 processing fee to cover actual out-of-pocket costs that cannot be avoided. Few tournaments guarantee such a refund. BECAUSE OF JAMBOREE FORMAT WILL BE USED WITHOUT CHAMPIONS BEING DECLARED, NO AWARDS WILL BE GIVEN. If you have any questions regarding our tournament, please email us at tournamentdirector@knoxvillefc.org. WE WILL BE USING A JAMBOREE FORMAT. SEE INFORMATION ON THIS PAGE. We anticipate that U15-U19 Boys will be played at Schumpert Park. 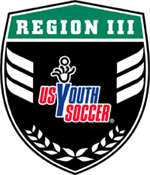 U13/14 Boys and U13 and 14/15 Girls will be played at Mayor Bob Leonard Park or McFee Park. U9-U12 Boys and Girls will be played at Lakeshore Park and if extra venues are needed at Hickory Creek. Final field assignments will be based upon registration. Although a jamboree format will be used, scores will be recorded so that teams can provide scoring information for subsequent tournaments during the soccer season. Click the APPLY button above to register today! Download the SincSports mobile app on your iOS or Android device! Check back frequently for any and all Tournament updates!